Ryal Harris says the new turbo-diesel Mazda BT-50 he is piloting in the ECB SuperUtes Series is proving “awesome” to drive. 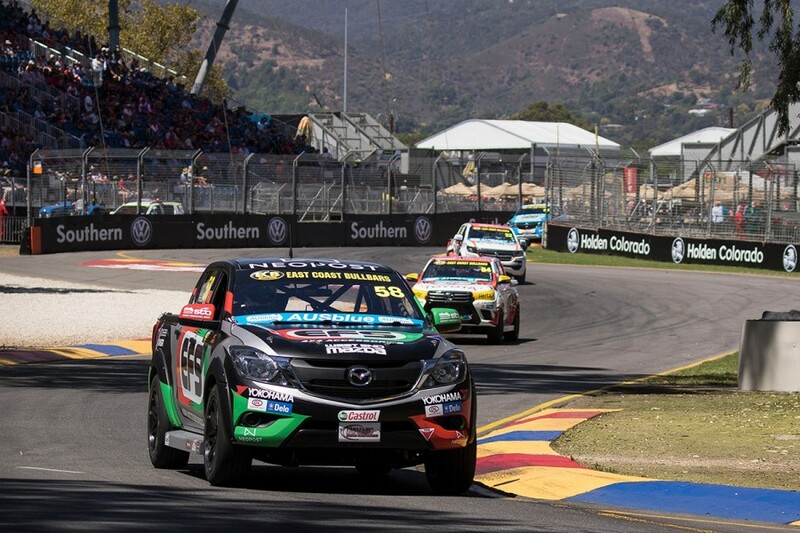 The three-time V8 Utes champion was the form driver in the maiden event at the Adelaide 500 last month, narrowly missing out on the round win. Harris finished third for the weekend, taking out two of the three races but retiring from the other with problems he believes stemmed from a loose radiator cap or hose clamp. 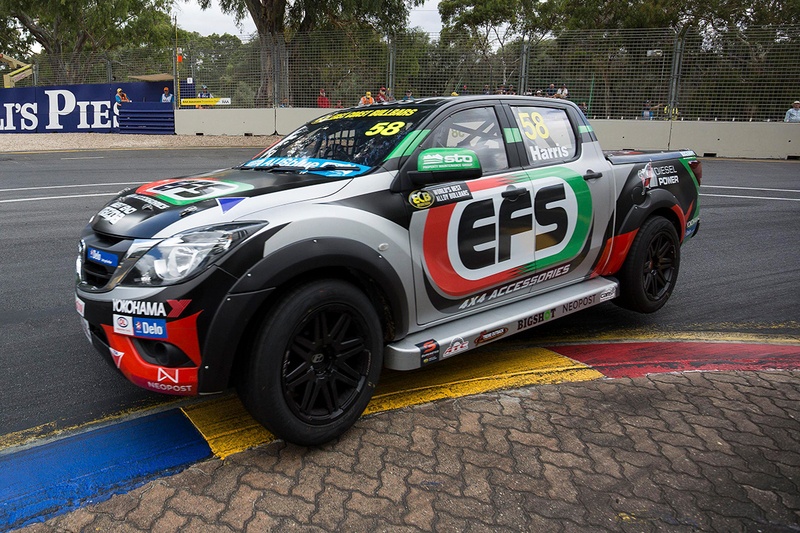 With his time in V8 Utes dating back to 2004, the EFS 4x4 Racing driver is the most-experienced ute racer in the field and is enjoying the new platform. 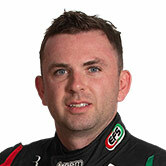 “The actual cars are awesome to drive,” Harris told Supercars.com. “They're big, they're heavy, they're awkward to drive around and I love it, they're something different. “It's taken a while to get used to the diesel engine and not having that instant power there, there's a bit of a different technique when driving them (compared to the V8 Utes). “You're in third gear when you're normally in second gear and stuff like that. "The SuperUtes are actually more of a race car, they've got better brakes on them and they're build more like a race car, but obviously you're up higher and they're slower. “I really like them. They're more difficult to drive (than the V8 Ute) on the edge. The bulk of the SuperUtes field will take to Winton later this week, for a two-day test ahead of the second round of the series at the Victorian circuit in late-May. Harris and his Mazda will skip that, though, Peters Motorsport opting to focus on testing at Queensland Raceway, closer to its base. "It's a long way to travel for us to go down there and do that," Harris added. "We're not doing the test day, we'll probably just do one more session up at Queensland Raceway to get dialled in again, but we're pretty confident with what we've got. "It was on the cards, but I've told the team that I'm not really fussed if we do it or not. "I'm pretty confident we can get the job done, Winton is probably one of the only tracks I haven't won at, so I'm pretty keen to have a win there." The SuperUtes field is expected to grow to 13 for Round 2, including the debut of Steve Wilson’s Isuzu D-MAX.